You’ve had that moment. A lightbulb flashed on, or perhaps your heart quickened a beat when you looked in the mirror. 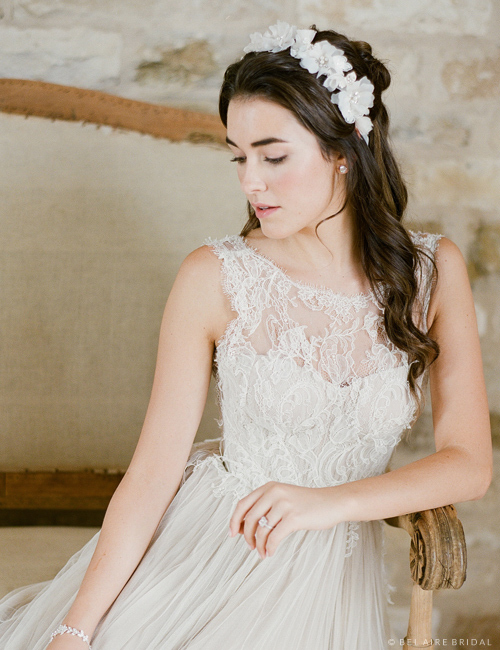 You’ve found the perfect wedding dress. Even the ideal dress usually needs to be altered or paired with accessories to maximize its potential. 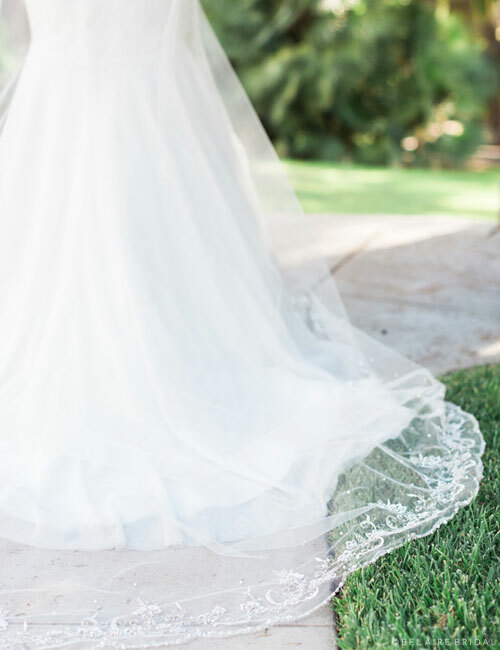 Only when you’ve added a gorgeous veil, the right shoes, or a pretty pair of earrings will the whole outfit truly feel magical—and ready for your wedding. Designers have been pulling out all the stops for 2017: we’re seeing gorgeous beadwork on everything from vintage-inspired sheaths to princess-worthy ball gowns. To complete your dream ensemble, discover a beaded veil that complements the detail on your wedding dress. 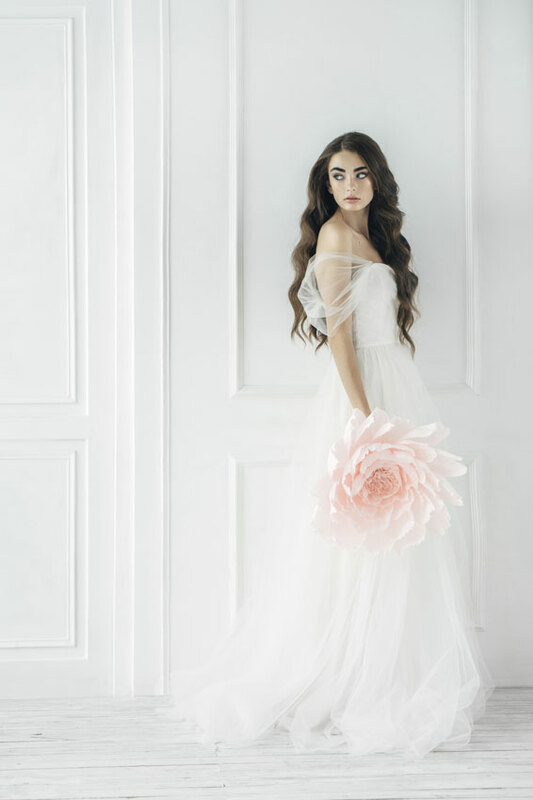 Check out a few favorites that have been selling like crazy in bridal salons across the country! Sparkling with an edge of clear crystals, twinkly rhinestones, and silver bugle beads, this lovely fingertip design is radiantly beautiful. Pair it with your chosen jewelry to complete a glamorous look. This style is available in champagne, diamond white, ivory, or white. Want even more bling? It comes in cathedral length, too! 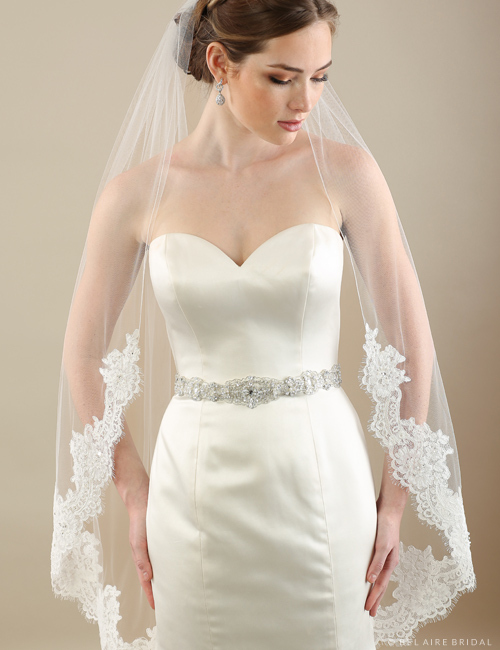 Frosted silver beads grace the edge of this lovely fingertip length veil. This design starts out in a narrow, delicate trail of sparkle at the comb and gets more dramatic along the bottom. The graduated beading pairs beautifully with jewelry, keeping you from looking top-heavy while adding more interesting detail along the curve. It is available in ivory or white and also comes in cathedral length. Pearls are classically bridal, and this hugely popular design may be paired with the jewelry of your choice! 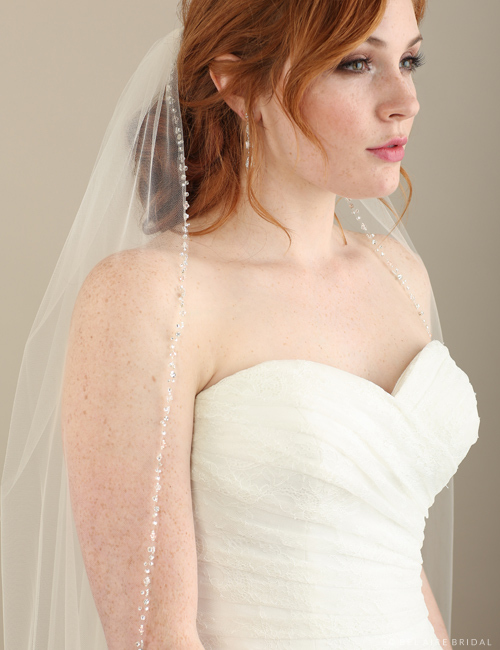 This lovely fingertip veil features faux pearls, silver bugle beads, and shimmering rhinestones. The perfect balance of romance and glamour, this design is available in diamond white, ivory, or white. It comes in cathedral length, too! Dream of adding a dazzling accent to your ensemble? 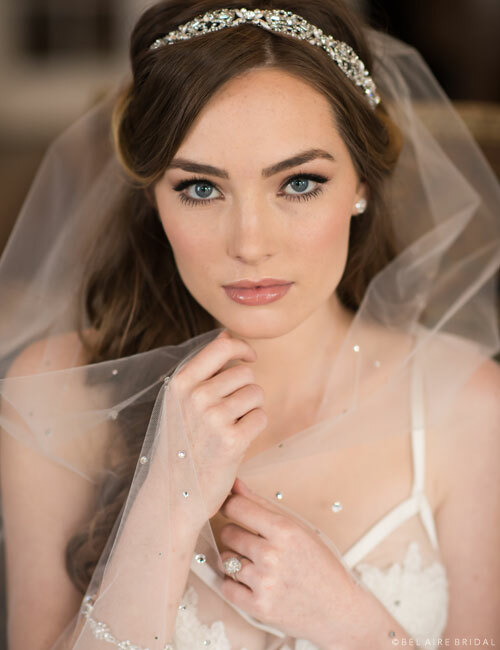 This trendy and unique veil features a silver beaded edge and glamorous opal rhinestone clusters. Pair it with rhinestone or opal crystal jewelry, or add an opal rhinestone embellished belt like BT068 to complete your look. This design is available in ivory or white, in fingertip or cathedral lengths. This seasonal favorite combines a beautiful silver rolled edge with sparkling rhinestones, faux pearls, clear crystals, and silver budge beads. Available in elbow, fingertip, or cathedral lengths, this gorgeous design is so popular that we make it in every color: blush, champagne, diamond white, ivory, or white. Pair it with a pretty headpiece to complete your ensemble. Want to see more? Check out our beaded veils and cathedral veils pages for additional designs. Follow us on Instagram for styled shoots and bridal inspiration! Getting married sometime soon? That’s wonderful! Our available headpieces can be shipped to authorized retailers in as little as 1–2 weeks! There’s something so timeless about gold accessories. Wonderfully complementing gowns in ivory and champagne, these gilded designs accent your bridal look with lasting beauty and sparkle. 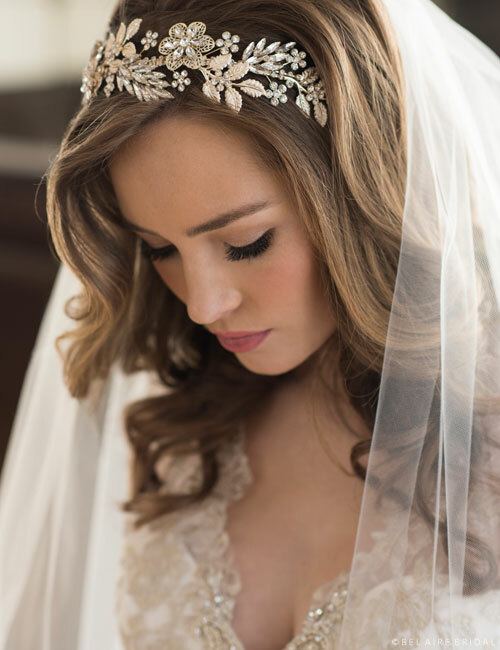 Check out our prettiest gold headpieces and find the perfect treasure for your special day! True love lasts forever. Commemorate your wedding day with gorgeous golden flowers that will stay eternally in bloom. A lovely metallic comb features curving flowers and leaves with rhinestone accents. 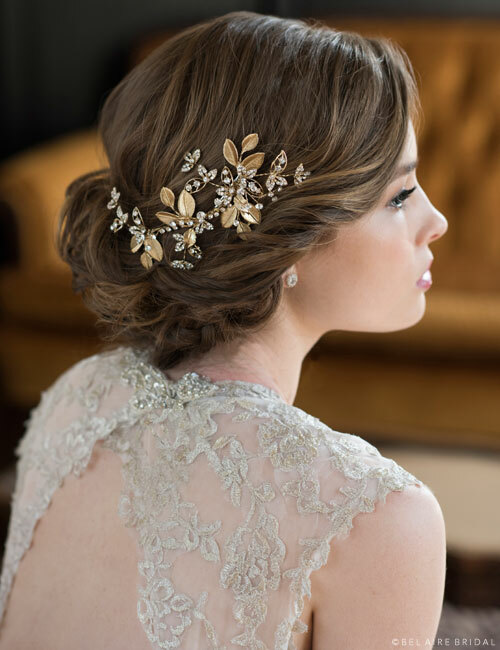 Slip this shimmering design into your tresses or secure it in a chignon for a romantic, vintage-inspired look. Pair it with golden earrings or a bracelet to complete your ensemble. Dress up your hairstyle with petite hair pins. These miniature, nature-inspired accents feature slightly curving branches with gilded leaves accented by tiny rhinestone flowers. The perfect touch for understated sparkle, these lovely little add-ons can be worn for any special occasion. Pair them with an embroidered veil for a more formal look. 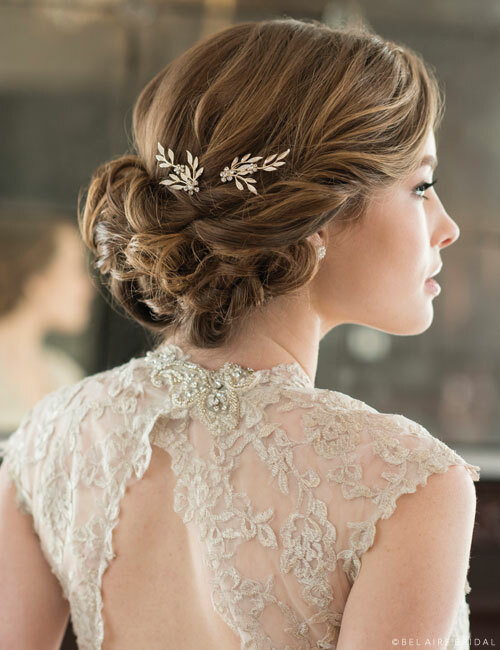 Enrich your wedding hairstyle with an easy-wear clip. Evoking the beauty of a royal garden, gilded leaves and sparkling rhinestone sprays curl across your hair with lustrous elegance. Glamorous yet oh-so-boho, this lovely accent may be clipped on the side or in the back. 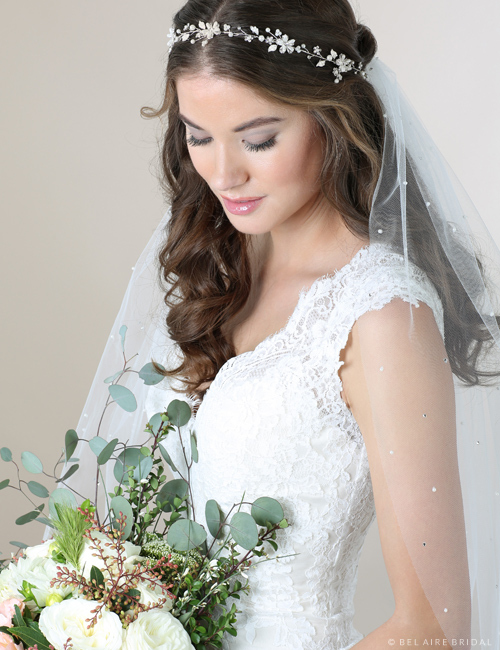 Wear it just above a veil for a nature-inspired bridal ensemble. Gild your tresses with a radiant flower headband. Forever in bloom, a lovely design features metallic flowers, branching leaves, and glittering rhinestone accents. 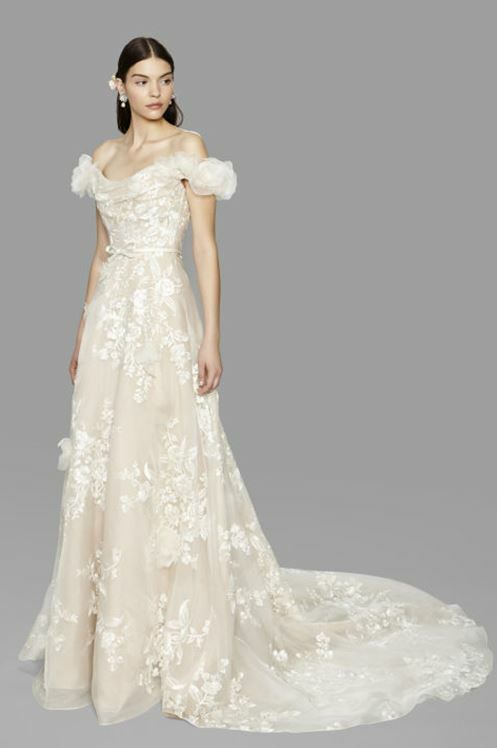 Glamorous yet utterly romantic, this graceful accent beautifully complements ethereal floral gowns. This statement piece may be worn alone or paired with a veil for dramatic effect. Celebrate your wedding with blissfully bold metallic flowers. Large antique gold blooms centered with glittering rhinestones add dramatic beauty to your hair. Perfect for rustic-chic weddings, this lovely headband infuses your look with unique, vintage-inspired style. 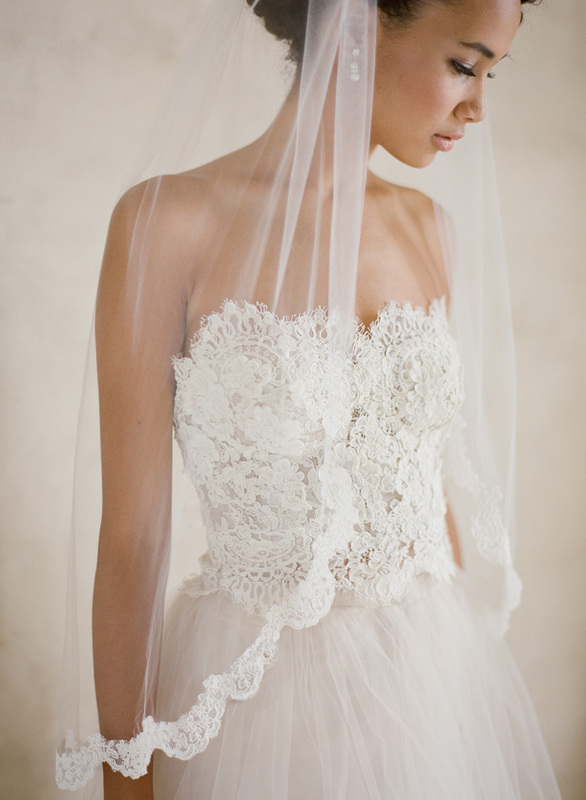 Wear it alone for your reception, or add a veil for an enchanting bridal ensemble. Want to see more? Check out the rest of our Fall 2016 Headpiece Collection, or head over to our veils pages and discover the perfect accessories for your special day. So you’re engaged. Congrats! But did you know the whole point of having a wedding is that you’re getting married? This might seem obvious, but a lot of people spend countless hours preparing for the wedding event without giving a thought to the actual marriage—which lasts the rest of your life! FYI, being married is not the same as dating. It’s a good idea to go through pre-marital counseling, which may be available through your church (if you’re not religious, plenty of counselors specialize in relationships). You can also read a book together, such as The Five Love Languages, and discuss your expectations for the future. Here are six tips to help make your marriage a positive and even amazing experience. You probably get along well with your partner. Treating each other with mutual respect is obvious, and most engaged couples share core values. This doesn’t mean that you’ll agree on everything all the time. Learn how to communicate. Balance speaking and listening skills; learn how to fight and make up. Express your appreciation in meaningful ways. Find out how your partner likes to discuss difficult issues. Do they like things out in the open, right away? Do they need time/space to process? Figure out the best way to coexist in your household. Getting engaged is an important milestone, yet committing to a relationship takes much more. Building mutual trust is so important and prevents issues like jealousy or second-guessing. Your wedding vows are more than a ceremonial promise; they are a behavioral promise. Stop flirting. Stop putting yourself in situations designed to help singles meet prospective mates. Does your social life end? Of course not. But a committed person doesn’t entertain thoughts or actions that could even possibly lead to infidelity. Because when you’re married, that’s how much you love your partner. Period. Think of yourself as a knight. Your marriage is your castle, and it’s always under attack. It’s up to you to protect your relationship. Not all stressors come from people deliberately trying to break you up (although this can happen). Sometimes, negativity creeps in from your family or work situation. Schedules can get crazy; outside commitments can be demanding. It’s important to set boundaries and let others know that you value your marriage. Protect your personal time. Protect your partner’s privacy and maintain their trust. Seek community with people who will support your relationship. Not everything about marriage is hard. (Otherwise, why would people bother?) Actually, in a lot of ways, being married is easier than dating. For one thing, you get to be together a lot more! Plus when you share resources, you’ll have more money to spend on dates or anniversary celebrations; when money is tight, you can find creative ways to be romantic. Plan adventures. Share special moments. Geek out together. Keep having the fun you had in the beginning, and staying married comes pretty easily. Work and professional commitments take lots of time. Add hobbies, religious activities, family events, and social engagements—your day is pretty full! 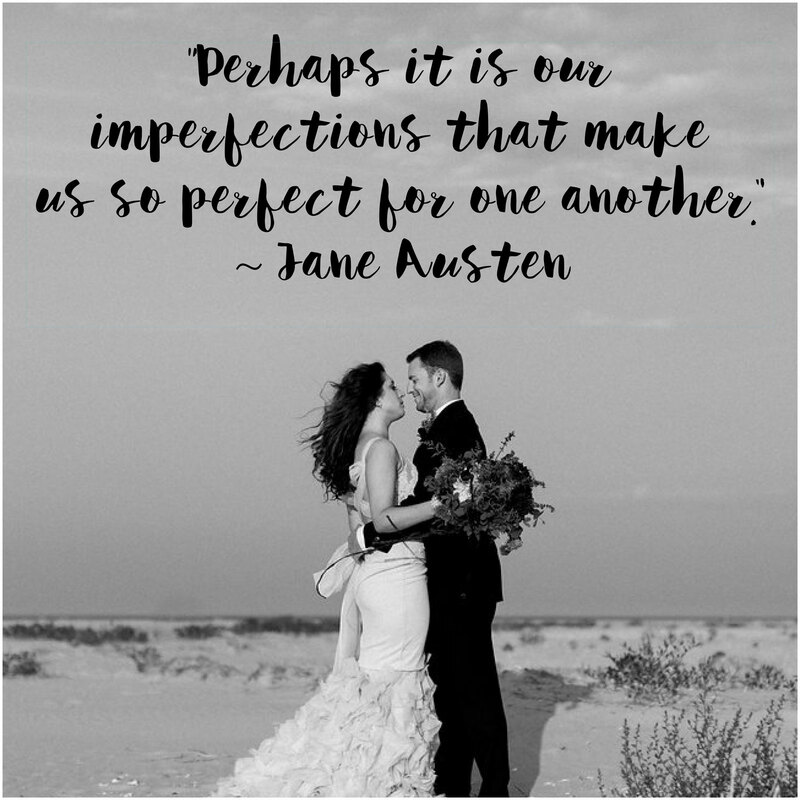 However, the number ONE person in your life is your spouse. Remember this and stick to it. Always consult with your partner and make their needs a priority. Because when you’re old or sick or just need someone there for you, your spouse is that person. Jobs will eventually end. Kids may or may not stick around. When you choose someone for life, they’ll choose you back. That kind of loyalty comes from putting each other first. The magic of your first kiss and that heart-fluttering moment he proposed are just the tip of the iceberg. The true beauty of marriage is that you get to keep falling in love. Be kind. Be thoughtful. Speak your spouse’s love languages. When you invest in your relationship and put forth extra effort, your marriage will get even better. If you’ve ever seen an old couple celebrating their 50th anniversary, you’ll notice the depth of their intimacy surpasses mere words. Make each day together special, as much as possible. You’ll see the difference when you choose love. Do you have advice for newlyweds? Share your favorite tip! Every bride has heard the rhyme. What does it mean to you? 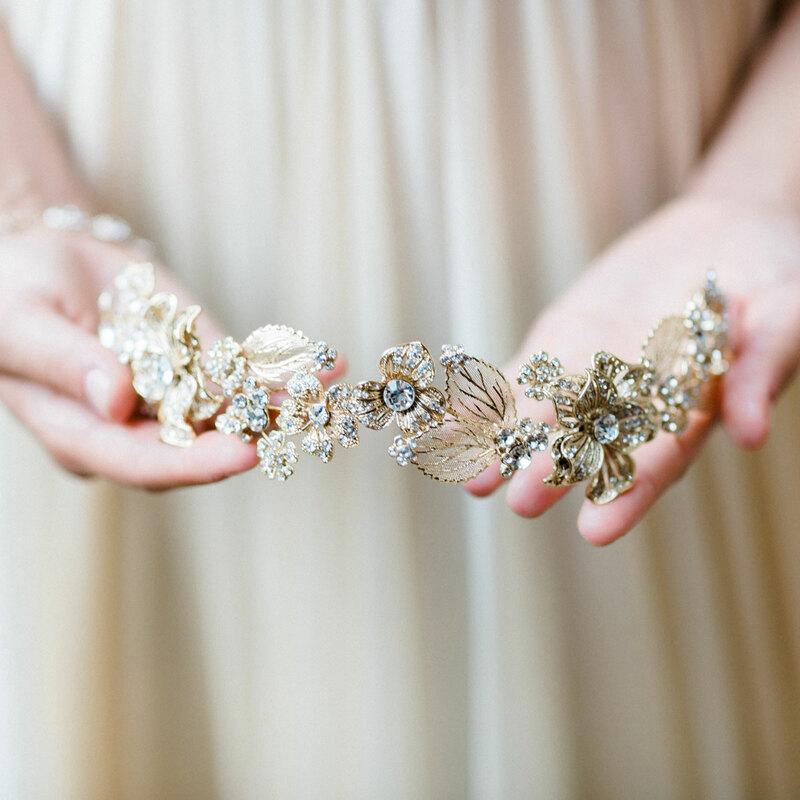 Incorporate symbolic elements into your wedding day by choosing items that are personally meaningful. Read on for ideas about how to make your once-in-a-lifetime moment even more special! The idea behind something old is that your past identity comes with you into the marriage. 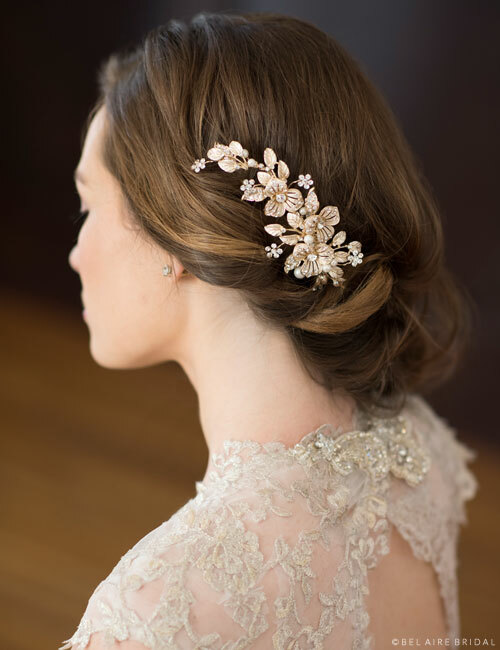 Many brides play up a vintage theme, wearing heirlooms, old-fashioned accessories, or Art Deco clips and combs. Whether it’s your grandmother’s brooch or a dazzling beaded purse, you can choose an item that works with your wedding style/theme. Selecting new, special items just for your wedding is super fun! Your something new represents starting a whole new life with your husband-to-be. Many brides check off this item with their wedding gown (unless they are altering a used dress). Other new bits of pretty can include jewelry, a sparkly headpiece, or fabulous shoes. It’s ok to splurge a little on this one. You’re supposed to borrow something from a happily married woman to ensure that your own union will be lasting and blissful. Wedding shopping can get expensive, anyway, so borrowing a pair of shoes or wearing your mother’s earrings will help ease wallet worry. 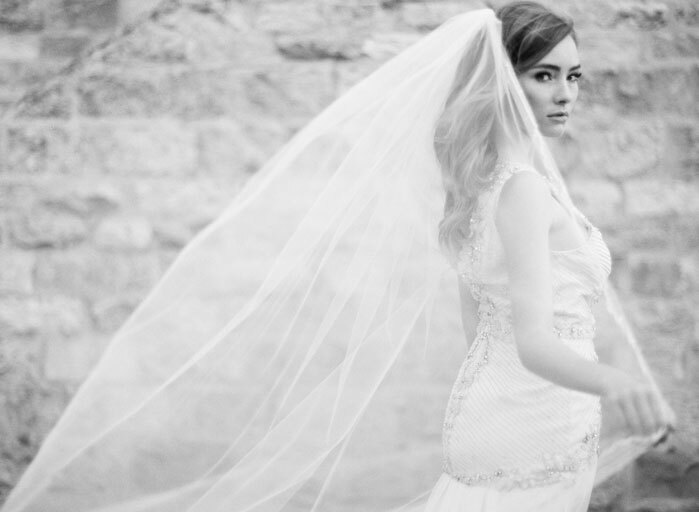 Just like a gown, an heirloom veil can be passed through the family, featuring in more wonderful wedding memories. Blue (which, by the way, is one of Pantone’s colors of 2016) is serene and symbolizes fidelity. The most obvious way to incorporate something blue is by dressing your bridesmaids in this lovely hue, but you can use a blue sash, wear blue shoes, show off blue jewelry, or choose a blue garter or petticoat! Create a stylish reception look with a colored wedding outfit like a cute blue tulle skirt and lace top. Back in the day, English women would slip a silver sixpence coin inside their shoes to ensure good luck and/or a financially prosperous marriage. More couples are incorporating honeymoon funds into their registries or performing money dances at the reception. After all, why not start off your marriage with a bit of extra cash? Which wedding traditions are you incorporating? Share your ideas! Getting engaged is a milestone. This moment should be captivating and romantic. And these days, a proposal should be personalized. If the idea of a traditional engagement with rose petals and candles doesn’t suit you (or her), we’ve got a few suggestions that are off the beaten path. This one’s obvious. Departing from a sparkly diamond is a bold move that should only be tried if your partner is absolutely sure she doesn’t want a traditional ring. This article by the Art of Manliness has a wonderful list of alternatives including birthstone rings, Claddagh rings, and artistic metal rings. The benefit of a non-diamond is that is holds unique meaning for you both, quite apart from the act of getting engaged. It can be a stone that is special to her or an heirloom from your family. Proposals are getting very showy. Men are hiring professional proposal gurus, photographers, and videographers to capture the big moment. They’re planning surprise parties, scavenger hunts, and vacations to make the whole day/weekend special. They’re going viral. The elaborate proposal is definitely memorable. But if that’s not your style (or hers), consider having a conversation. More people than you’d think are ditching the hijinks and simply discussing their expectations for the future. The bonus is that you can pick out jewelry together and announce your plans in a way that is mutually acceptable. No need for surprises here. That’s right, gender equality speaking here. Why should the man decide it’s time to get engaged? While it is traditional for men to propose, that doesn’t mean women have to sit around and wait. A woman can absolutely propose. In fact, many jewelers offer attractive men’s rings. The risk is that her guy might not be ready for this commitment, if he hasn’t proposed himself. But if the relationship is solid and bucking convention won’t scare him off (mind you, most modern women want a guy who respects their independence), then she can take the plunge. Besides, wouldn’t you enjoy a proposal themed to your interests? People have been proposing with rings since ancient times because the circle symbolizes eternity. 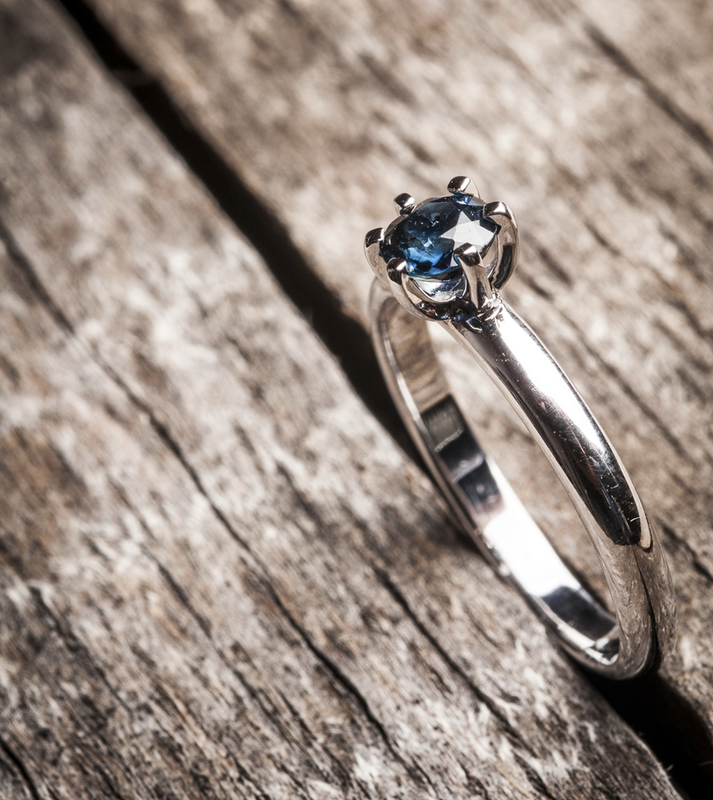 Wedding bands are typically worn on the third finger of the left hand, as it was once believed that a vein in that finger led straight to the heart. Rings carry important cultural symbolism—they show everyone that you’re taken—but they’re also a rather cliché, expensive part of getting engaged. If the gesture matters more to you than the item, consider an alternative to rings. This could be a gift such as a watch or necklace, or something more creative like picking out stars together. If you have practical sensibilities, why not put the money towards a house? And if you’re really sure, you can get tattoos around your fingers (or elsewhere). Who wants a cookie-cutter proposal at a fancy restaurant with a ring dropped in champagne? Very few people born after 1985. Personalized proposals don’t necessarily mean social media extravaganzas. Dig deep and find out what makes your partner tick. Choose a very special location and include their favorite interest, activity, hobby, or food. Acknowledge your personalities, express your quirky likes and dislikes, and honor all the good times that have made your relationship special. Are you planning a proposal? Check out our Proposals board on Pinterest or How He Asked for some amazing ideas. Looking for a ring style? Check out our Ring Bling board on Pinterest for some seriously incredible designs. 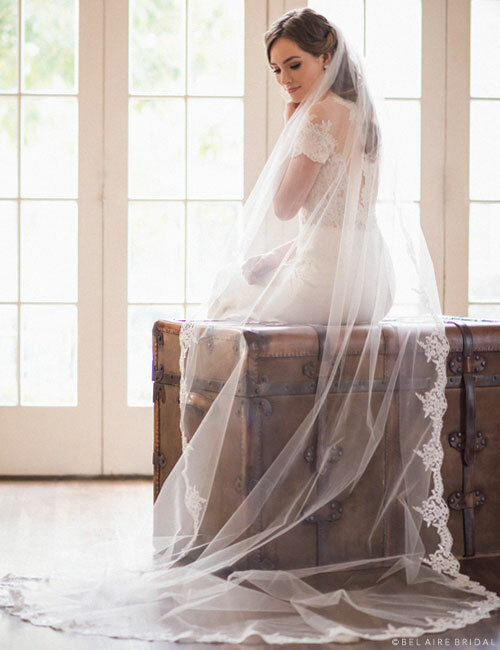 Do you have your heart set on a gorgeous cathedral veil? Our most wanted cathedrals season after season include these six heart-fluttering designs! Scroll down to find your favorite, and transform your wedding ensemble with sensational elegance and beauty. Are you in love with lace? Our #1 cathedral veil, V7034CX, features beautiful Alençon lace along the edges and around the bottom. A scalloped edge and beaded detail create a gorgeous design that accentuates your look with feminine grace. This style is perfect for a formal wedding. Make your wedding day feel magical. Style V7176C features exquisite beading along a beautiful scalloped edge. Beaded floral patterns and scrolling swirls create a sparkling design that twinkles like starlight. 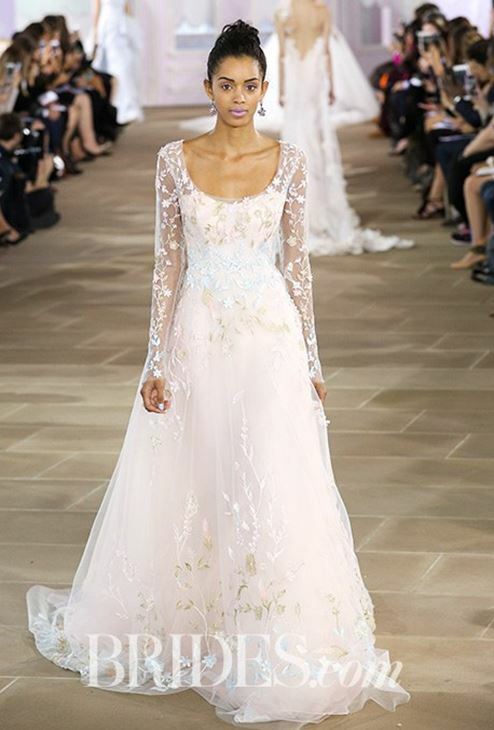 This fairy-tale masterpiece wonderfully complements gowns with beading. 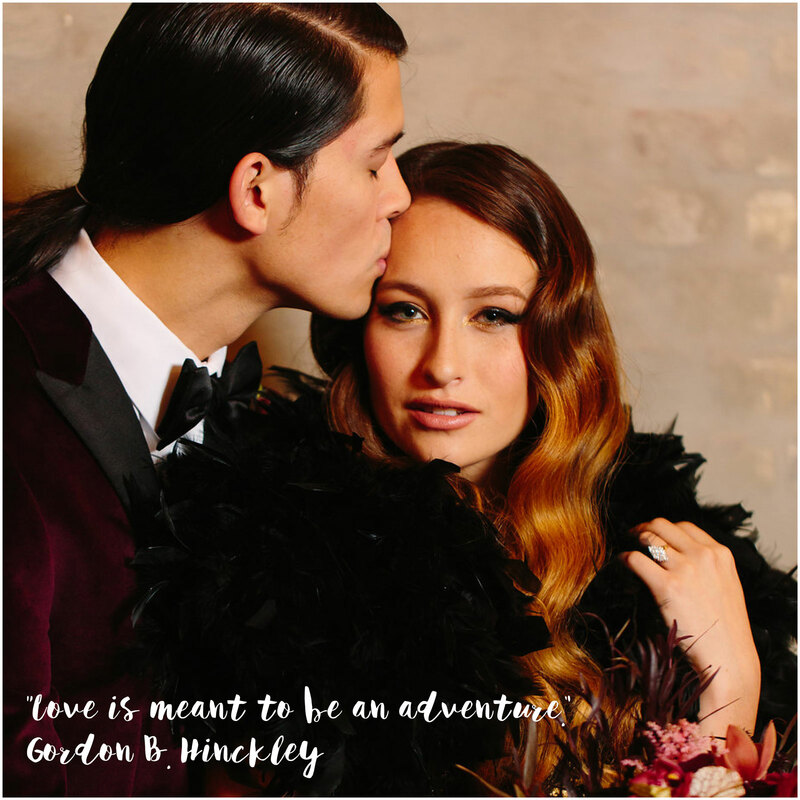 Begin your happily ever after with this lovely statement accessory. Walk down the aisle with breathtaking red-carpet style. Celebrity-inspired veil V7262C features a gorgeous design of lace appliqués that is incredibly romantic. A sheer foldover blusher adds glamorous bridal allure, while a train awash in flowers beautifully complements any lace gown. This lovely design may be styled for both indoor and outdoor weddings. Is your style graceful, timeless, and flawlessly feminine? If you love the beautiful whimsy of scattered lace, then style V7263C is your cup of tea. A romantic pattern of floral appliqués dances along the bottom of a rolled edge cathedral veil. Complete an elegant look with this pretty design. Shimmer with delicate beauty on your walk down the aisle wearing style V7264C. An intricately scalloped and beaded design features scrolling patterns and tiny flowers. This glamorous addition effortlessly enhances your formal wedding gown. 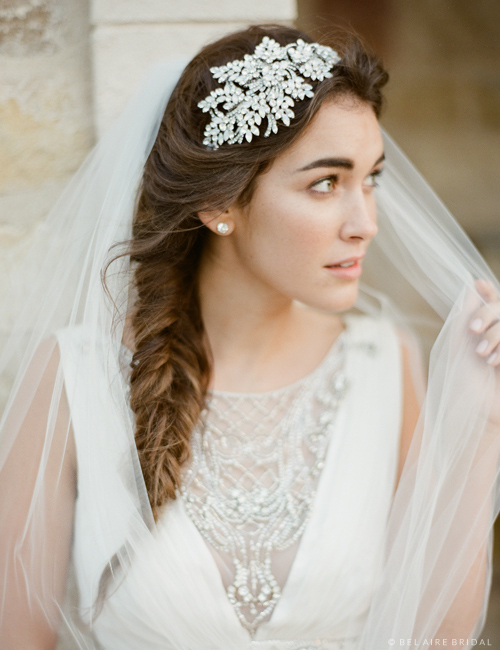 Add radiant jewelry and a sparkly headpiece to complete a stunning bridal look. 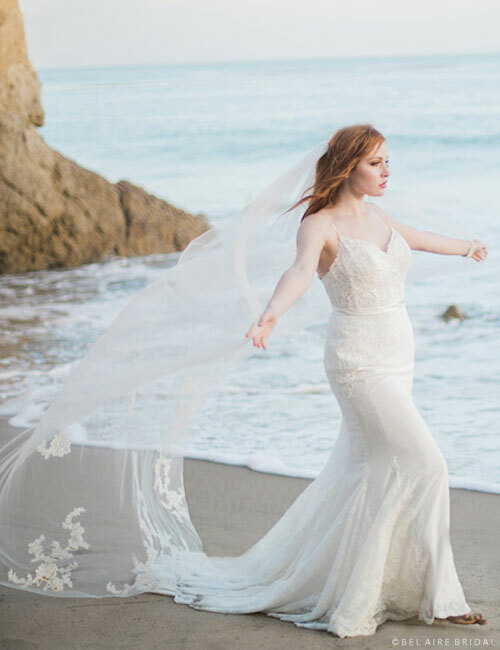 Feel like a graceful goddess on your wedding day. Style V7287C features eye-catching lace appliqués in gold or silver, beautifully complementing formal gowns with metallic embroidery. Pair this luxurious cathedral with shimmering jewelry to completely personalize your look. Which one is your favorite? Re-pin to your inspiration board using #BelAireBridal, and follow us on Instagram for all things bridal! Want to see more? 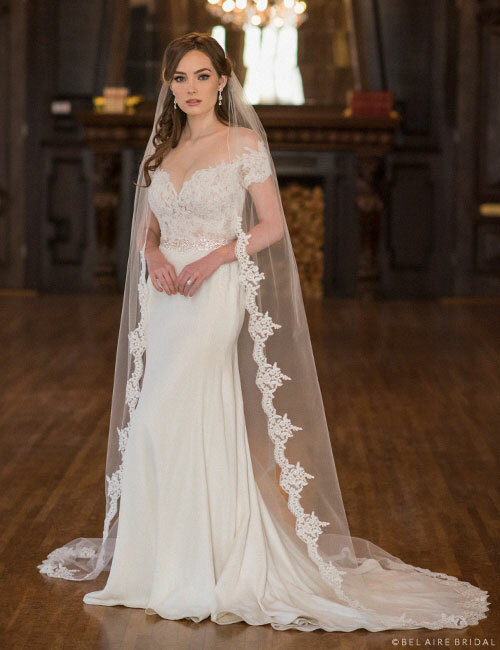 Check out our full Cathedral Veils collection for a design to make your wedding dreams come true. They’re adorable, unpredictable, and hilarious. 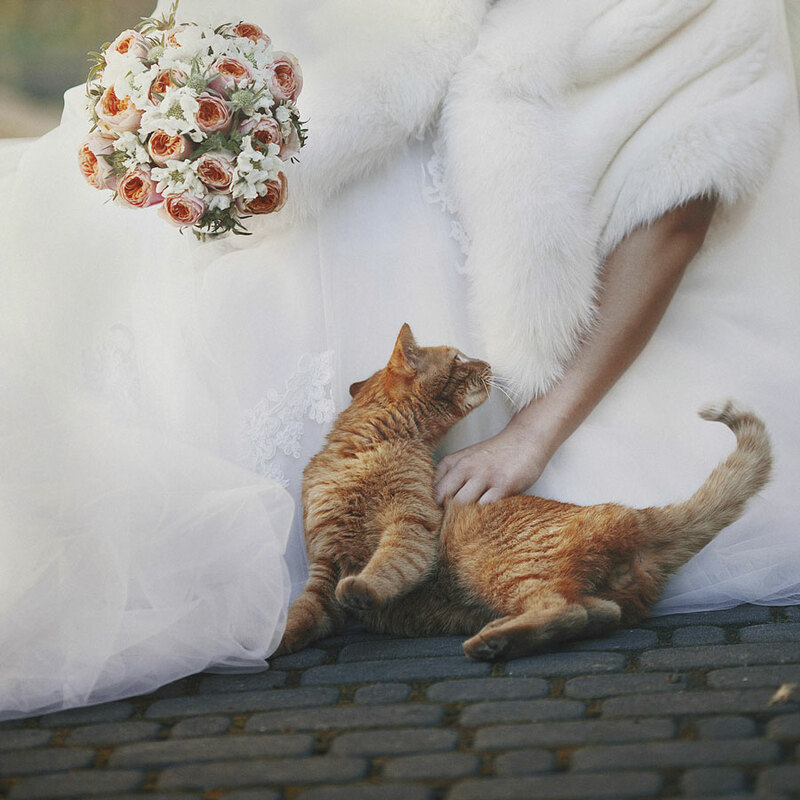 Some people do not want children, let alone pets, at their wedding. For others, the presence of furry family is an absolute requirement! 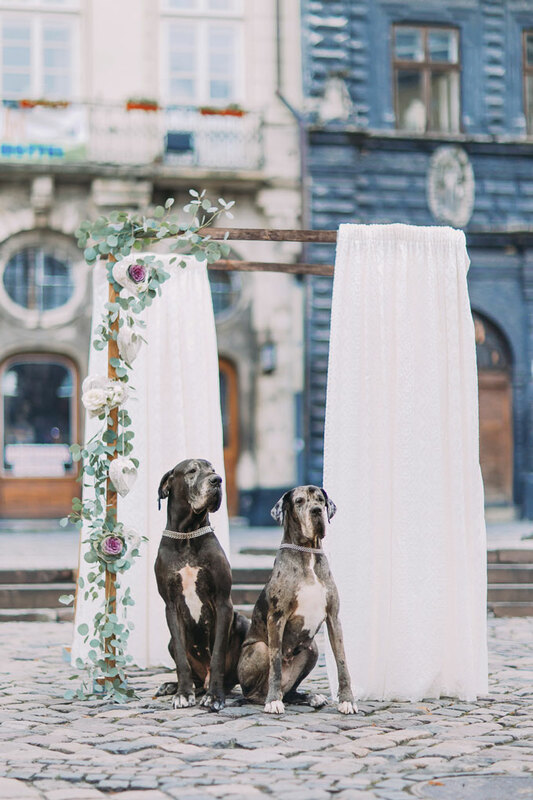 How involved your pet should be in your wedding depends on how they act around strangers/crowds; if they are trained or can be trained in time for the ceremony; and if you have someone you can trust to watch them while you’re cutting the cake. Sound good? 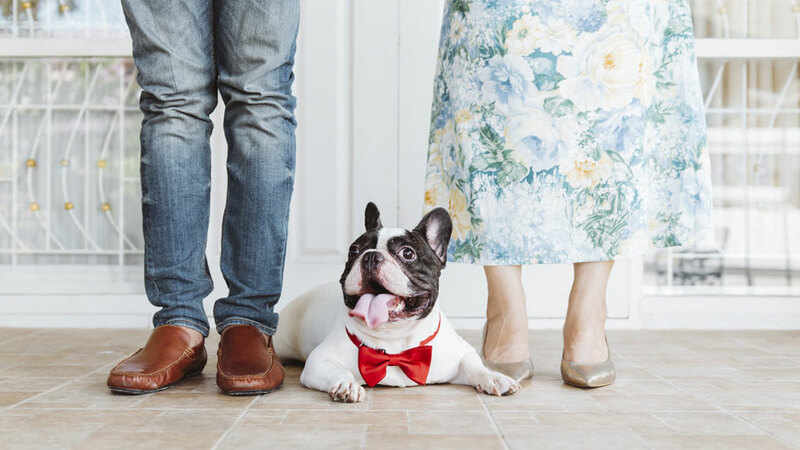 Then check out these 10 fun ways to include your pet as you get married and move forward in your love story. Could you say no to a cute little pup or kitty with a sparkly gift hanging from its collar? This utterly heart-melting proposal is perfect as you start a new family. 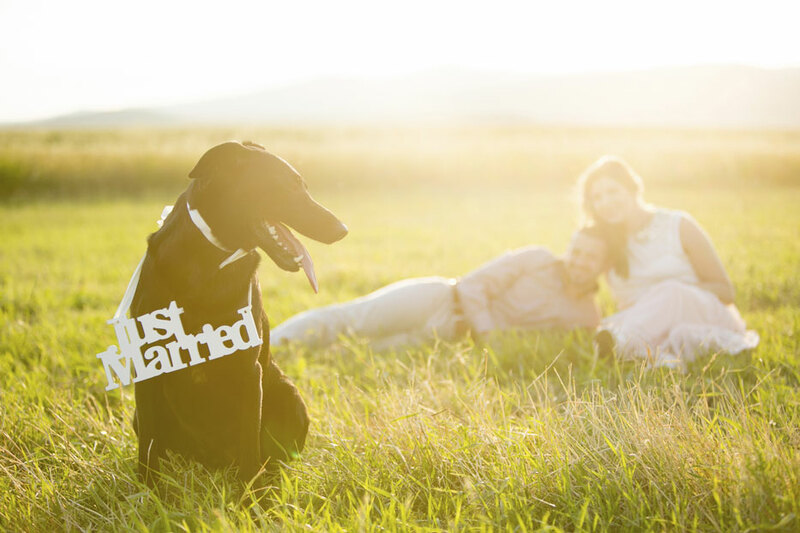 Celebrate this landmark occasion by including your pets in the engagement photos! Capture your special moment without the logistics of bringing animals to the wedding ceremony. 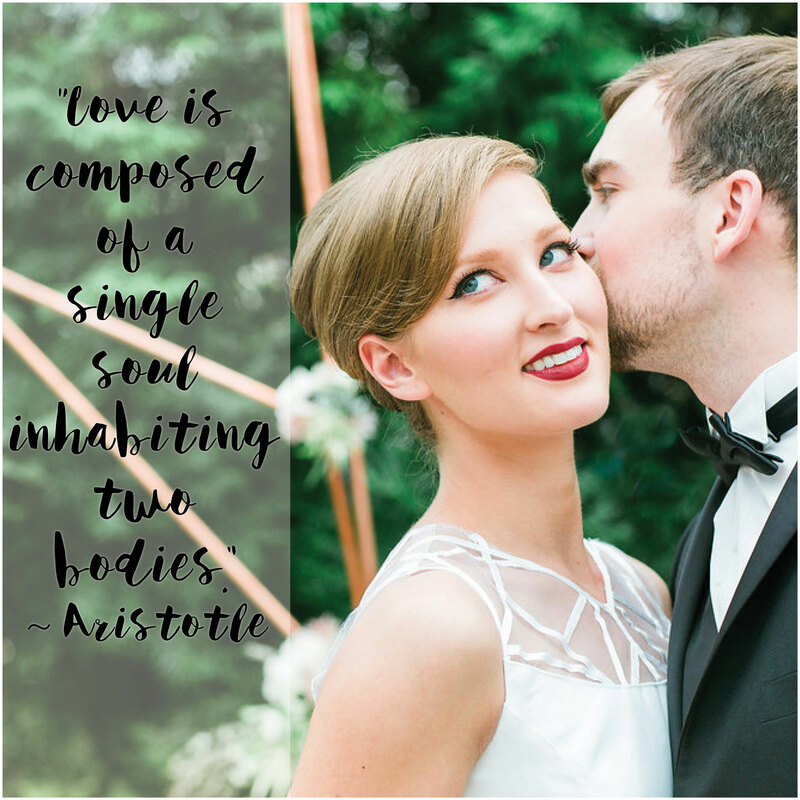 Use your engagement photos or snap a few fun pics on a family outing to personalize your Save The Dates and invitations. Your pets can be snuggled between you or sitting with a cute sign. Would a cake topper with a bride and groom feel out of place? Choose a custom topper with your whole furry family included, or go wild with an animal-themed cake! You can take photos before the first look or ceremony with your fur baby. Take care with your wedding attire and be sure they have clean paws. 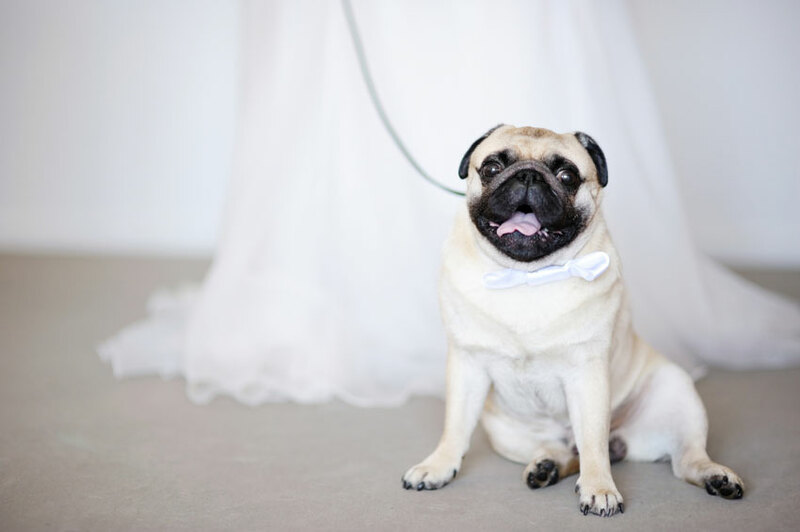 Ask the bridesmaids or flower girls to walk (or carry) your pet down the aisle! You can decorate the leash or collar with flowers or leaves in keeping with your overall theme. If your dog is well-trained, you can give them the honor of ring-bearer! Slide on a collar or pillow with strings, or deck out your pup in a bandana or bow tie to mark the occasion. Some couples do an all-out animal wedding theme, and invite exotic animals with their trainers to the big day. On your registry, you can even ask guests to donate to your preferred charity. Take photos with both sides of your new family and include your pets, too! This is a nice time to celebrate and share kisses with everyone. If you’re hosting a pet-friendly wedding, provide water stations and an area for them to play. Send everyone home with treats! 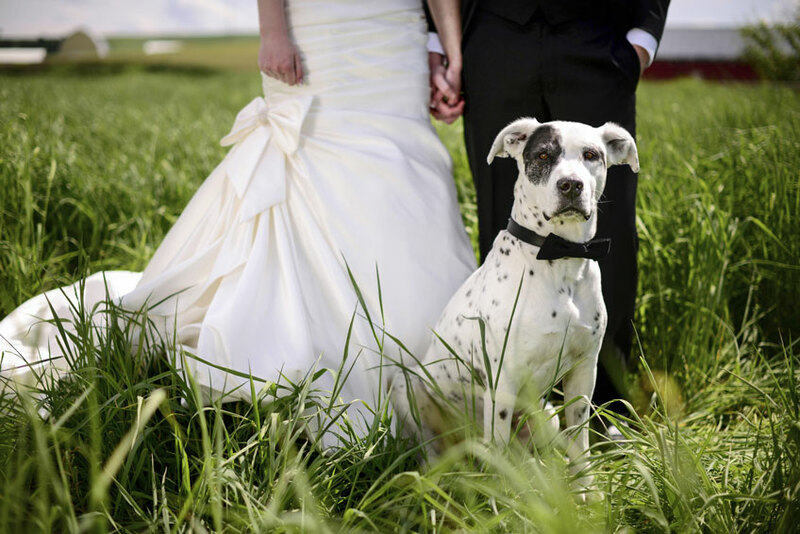 Are you including your pet in your wedding? Share your ideas!